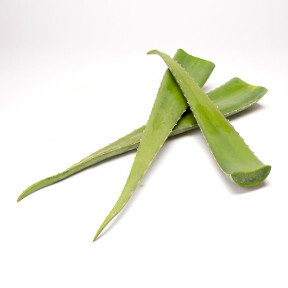 Aloe Vera plants have triangular leaves that have serrated eges on a fleshy texture that is easily bent. The plants are grown for the extraction of the gel inside the leaves which can be used in desserts, yogurts and beverages and it’s also commonly used as a home remedy for treatment burns and many other conditions. Handling: Aloe Vera is always best when used fresh. After harvesting the whole leaf can be stored in the refrigerator and a small portion is cut only when it needs to be used. This keeps the extracts fresh. Varieties: Aloe has 450 different varieties, Aloe Vera being the most common.